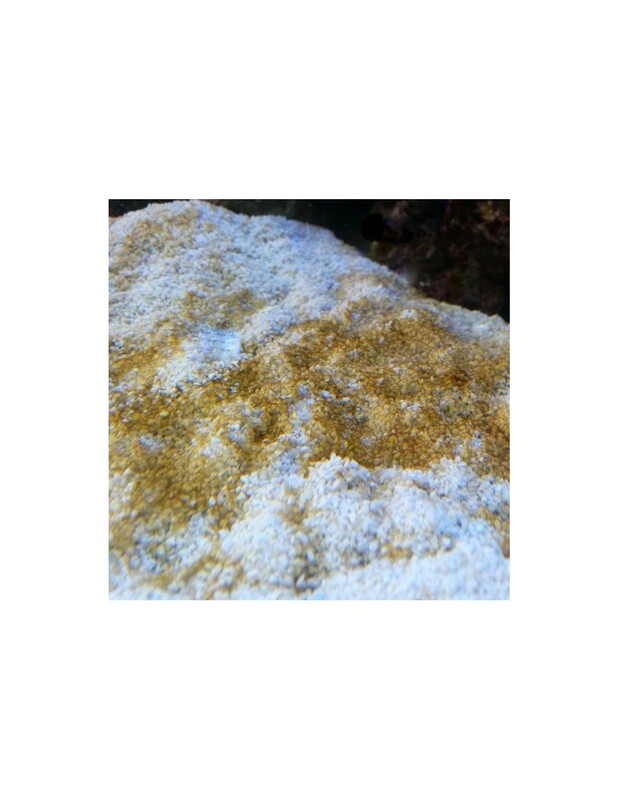 Diatoms are brown algae that often appears when the aquarium was set up new and is just in the cycle process, this may take up to a few weeks. But they are not limited to this. Even in older systems it can reappear when a lot of rock was moved or new added. They might cover large areas of sand, rock glass, pretty anything, and make the aquarium look very unsightly but they are not harmful. These micro algae will spread in thin layers over the sand and rock, normally less than 2mm thick. Rubbing them between the fingers it will feel like sand as the shell of the diatoms are made out of silicon dioxide. They don't have trapped air bubbles, and the colouration is grey to brown. A good way to remove them is to manually syphon them out, cleaning the tank glass carefully ( from the bottom to the top with a sponge , and cleaning the sponge once you reached the top), using silicate removing compounds or to get some critters who feed on diatoms, like the Cerith snail (Cerithium strercusmuscarum). These nuisance algae feed on silicates in the water. 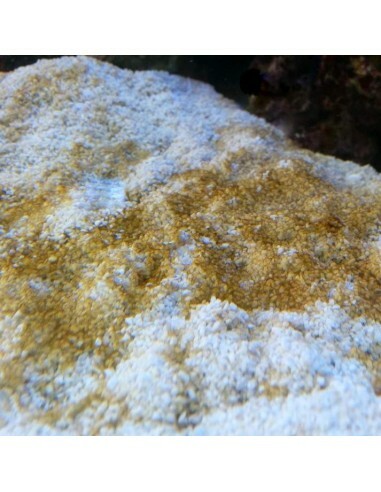 A very important point to avoid the further introduction of silicone in the marine aquarium is to use quality RODI water and salt mixes. Should you use your own RODI-unit keep an eye of the intervals to change the filter and chemicals, to maintain a proper water quality. established colonies of nitrifying bacteria. Can I already add fishes, even when I have these diatoms at the moment? The most important thing about a marine aquarium is: Take your time. A new aquarium setup needs time to get stable. Therefore we recommend after the aquarium has cycled to gradually introduce fishes to the new marine aquarium. Start with 1 or 2 hardy fish species which you like to have longer in your tank. Clownfishes are a very popular choice and often unproblematic. Damselfishes are often recommended as a first choice, but be aware that they are very territorial and often very hard to remove once you added them to your tank. In the following weeks keep an eye on the water parameters regularly, especially Ammonia and Nitrate, as they might go up as your tank is adjusting to the new bioload. When they are back to zero you can add another 1 or to fishes, and check again the water parameters. The good thing about this beautiful hobby is that keeping it slow and steady is the best recipe for a successful and enjoyable marine aquarium.